Huda Al-Marashi is the Iraqi-American author of First Comes Marriage: My Not-So-Typical American Love Story, a book the Washington Post called "a charming, funny, heartbreaking memoir of faith, family, and the journey to love. 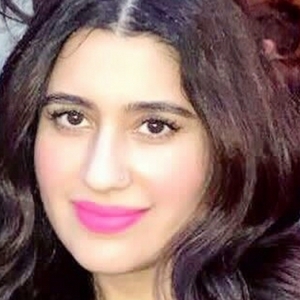 If Jane Austen had grown up as a first-gen daughter of Iraqi parents in the 1990s, she might have written this.” Her other writing has appeared in the Washington Post, the LA Times, al Jazeera, Refinery 29, the Offing and elsewhere. Huda currently resides in California with her husband and three children. We talk about her book and her take on marriage, and relationships. #22 Am I a good Immigrant? In this episode, Saadia talks to Chimene Suleyman. Chimene is the editor of The Good Immigrant USA, and a contributing writer to the original best-selling award-winning British anthology The Good Immigrant (Unbound, 2016). Chimene’s work has also appeared in the Guardian, Independent, IBTimes, The Quietus, News night, BBC Radio 4’s Today Program, NPR, and Sky news. Chimene and Saadia talk about the intersectionality between gender and race. Chimene explains how she felt embarrassed about her parents' culture, when she was growing up in London and how she has come to embrace her identity as a Muslim woman of color. They laugh about Saadia's obsession with Chimene's twitter feed, which in Saadia's opinion is very informative and bold! Saadia Khan changes the format for this episode. She introduces three immigrant stories. Each immigrant shares their experiences in the US in their own words from a different vantage point. You will hear from them what it's like to be an immigrant in the US. Each perspective is unique in that it unravels the complexities of being an immigrant through the lens of the narrator without any leading questions or any set direction. Sanjana Bhatnagar and Stephanie Munn are high school students and Students for Refugees (SFR) representatives. S.F.R. is working to raise funds to support educational facilities and individual student programs in affected countries as well as supporting local refugees. There are a broad range of things that SFR engages in, but their primary goal is to get students involved in helping refugees. SFR works in three areas: resettlement, advocacy/education, and fundraising In addition to SFR, they advocate for refugees by supporting other initiatives. Sanjana is associated with the Syria fund and Stephanie is planning a Walk A Mile in My Shoes refugee experience. We talk about all these topics in our interview. Saadia Khan talks Susan Muaddi Darraj, a Palestinian American. Susan talks about her experiences as a child of immigrants and how her dual identity has shaped her life. Susan is an Associate Professor of English at Hartford Community College in Bel Air, Maryland. Susan is also a Lecturer in the Johns Hopkins University’s MA in Writing program. In 2014, her short story collection, A Curious Land: Stories from Home won several awards and accolades. Her previous short story collection, The Inheritance of Exile, was published in 2007 is a compilation of stories about daughters born in the US and their immigrant mothers. Saadia Khan talks to Suzie Afridi. She is a Palestinian American stand up comedian. She was born and raised in Jericho, in the West Bank. Her dad was a Welder and her mom was a farmer. When she was fourteen her family immigrated to San Jose, California. She attended San Jose State University.Suzie is an accountant by profession but she realized she was terrible at her job and decided to pursue another career. She lives in Manhattan with her husband and kid. Suzie talks about her journey to America, why she chose to do stand up comedy and her life as a Palestinian American. Saadia Khan talks to Tahmina Watson about pressing immigration issues. Tahmina is a nationally acclaimed immigration attorney and the founder of Watson Immigration Law, in Seattle, Washington. She was a barrister in London before immigrating to America. Tahmina is also the author of “The Startup Visa: Key to Job Growth & Economic Prosperity in America”. In addition to appearing on CNN, Forbes and other media platforms, she is the host of “Tahmina Talks Immigration” a radio show turned podcast available on itunes. Recently, Tahmina helped cofound a non-profit, the Washington Immigrant Defense Network- WIDEN as a result of the current administration’s ‘zero tolerance’ policy. WIDEN, funds and facilitates legal representation in the immigration courtroom. Saadia Khan talks to Lisa Genn. Lisa was born in Russia, her parents and she left Moscow in December 1989 on the verge of the collapse of the Soviet Union in hopes of resettling in America under a program for bringing Soviet Jews to the United States as refugees. Lisa is a lawyer by profession, but has worked on human rights issues throughout her career. she is a city girl who spend most of her time in Manhattan but now lives in Westchester county in NY with her husband and two young children. Saadia Khan talks to Reshad Ahmedi, an immigrant from Afghanistan. Reshad worked for ten years on U.S.-funded re-construction projects in Afghanistan, until insurgents targeted him for his affiliation with the United States. Reshad is in the US on a Special Immigration Visa (SIV) to the United States. He is now an Assistant Project Manager at a local Tectonic Engineering & Surveying. Reshad is also an Ambassador of the Westchester Refugee Initiative, helping to spread the word about refugees. Saadia interviews Ali Yarkhan, a branding executive, who has worked for internationally renowned brands like Prada and Giorgio Armani. He is also a director who wants to create documentaries that highlight social issues. On a personal level, he continues to explore and practice Sufism’s diverse cultural legacies in an attempt to achieve inner peace. In this episode, Ali talks about different facets of his life, from being a fashion guru to a filmmaker and a Sufi. #5-Oh sweet diversity..how I love thee! Saadia talks to Nadine Ali, a Pakistani American, about her journey to the US, her life as a baker and her rather unconventional path to sweetness. Currently Nadine owns a successful business as a baker in NYC, she is also a mom and loves to dance! Saadia talks to Nicole Duran, Dominican Republic native. Nicole is currently working as a hairstylist and is also a student focusing on psychology and public speaking. With faith, she is trying to bring her community together. She believes that where you come from does not define where you will go. In this episode, Saadia talks to Juan Escalante, a renowned digital strategist and nationally recognized immigration advocate about his experiences as an immigrant in US and his role in spearheading the immigrant rights movement for the last 10 years. 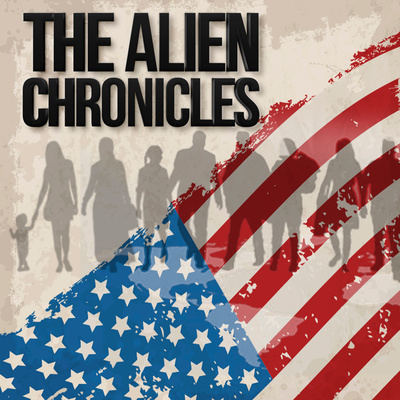 In this episode of "The Alien Chronicles", host Saadia Khan talks to Kelly Yzique, a former DACA recipient and now US permanent resident, about immigration and other issues that affect the migrant community. They talk about the immigrant caravan, misconception surrounding undocumented immigrants and how United States needs to reconcile with its past. Saadia khan talks to Sahar Saleem, an American Pakistani who immigrated to US when she was 7 years old. A creative through and through, she is Marketing Manager at PepsiCo by day and an artist, musician, and writer by night. They talk culture, food, stereotypes, religion & politics.